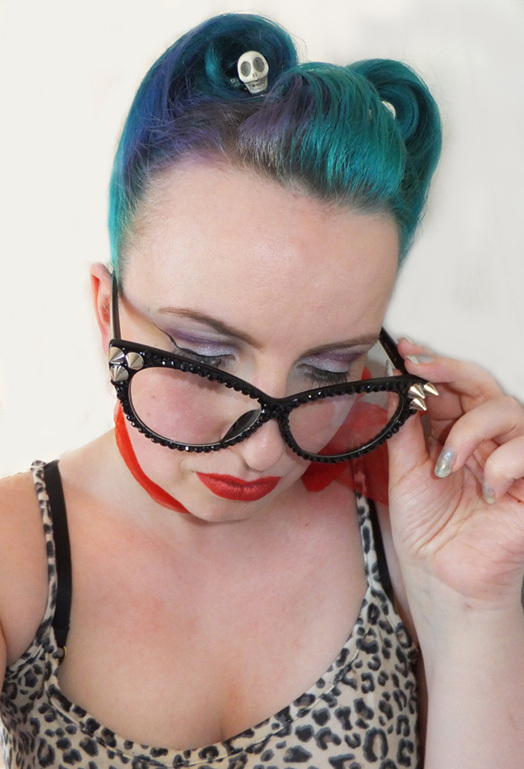 Rhinestones & Spikes Cat Eye Glasses. 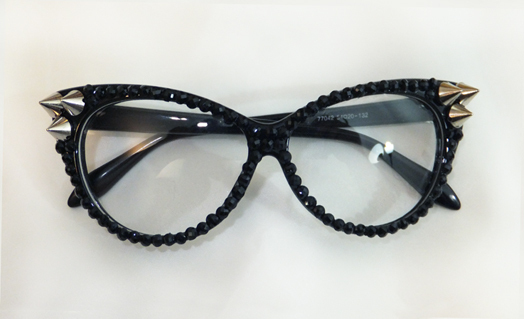 Available as standard (non prescription) glasses or sun glasses with black lense. 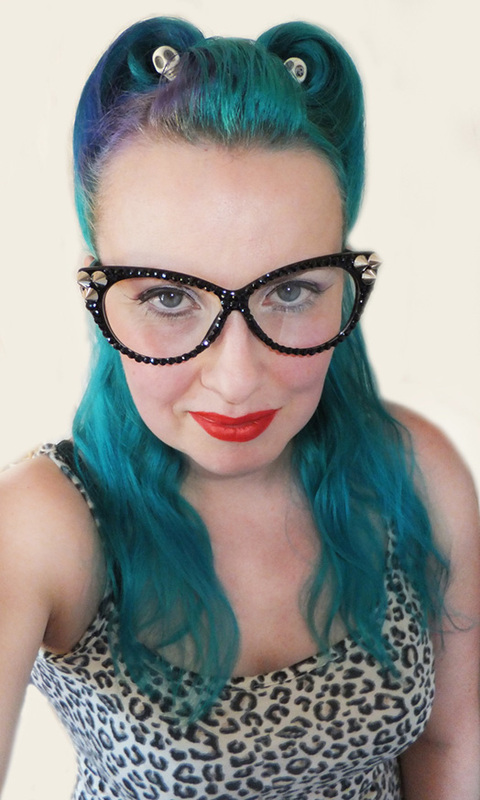 Available with many different colour rhinestones.